Are you ready for the start of the holiday season? With Thanksgiving next week and our first dusting of snow this week (it already melted), I am getting excited! 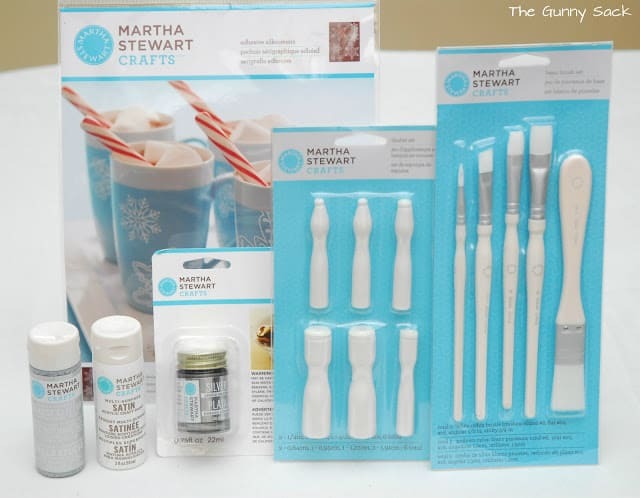 I received them most wonderful package at my door…a box of holiday craft supplies from the Plaid’s line of Martha Stewart Paints and Stencils. 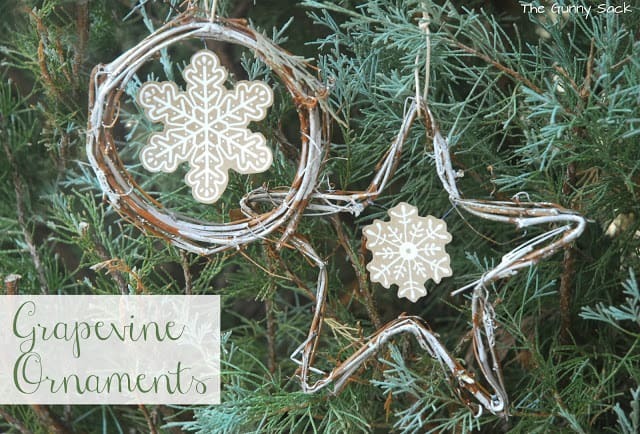 I was given the challenge of creating something holiday themed with these supplies and I decided to make Grapevine Snowflake Ornaments. These are the supplies I received! Isn’t that a glorious site? There are 7 packages of adhesive silkscreen stencils that range from holiday images to letters, a plastic bottle and various tops, fine crackle effect, glitter finish, crystal ice glass effect, various brushes, squeegees, gold and silver liquid gilding, glass etching cream, 7 bottles of acrylic paint and 7 bottles of glass paint! The possibilities for what I can make with these lovely items is endless! But I finally narrowed it down to making my own mini wreaths. I call the vine I used grapevine but really it is just some weed that was growing in our bushes. I cut out a bunch of the vine and put it in my bathtub in water to soak overnight to make it pliable. 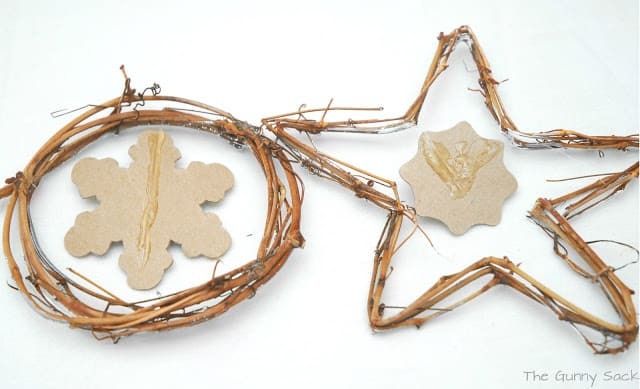 To make the star shapes, I drew a star on a piece of wood and drilled in screws around the star. Then, I just wound the vine around the shape. 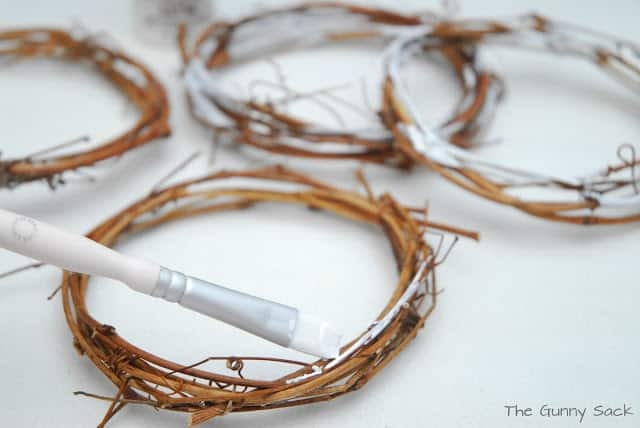 To make the circle wreaths, I wound the vine around a plastic jar and held it in place with a piece of wire before sliding it off to start the next one. I let the shapes dry for several days and then removed the screws from the board. Next, I used a hot glue gun as well as some brown thread to hold the shapes firmly together. Finally it was time to decorate the ornaments. I used the snowflake adhesive silkscreens, coarse glitter acrylic paint, white satin acrylic paint, silver liquid gilding, paint dauber and paint brushes. 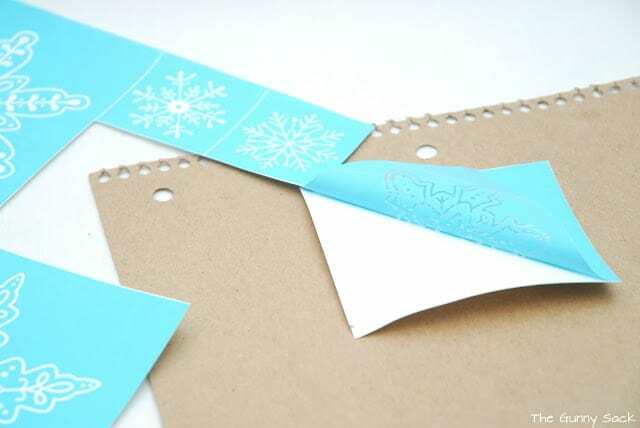 I cut out the silkscreen snowflakes that I wanted to use and peeled them away from the backing. They have an adhesive on the back so I stuck them to a piece of thin cardboard. I used the back of a notebook. 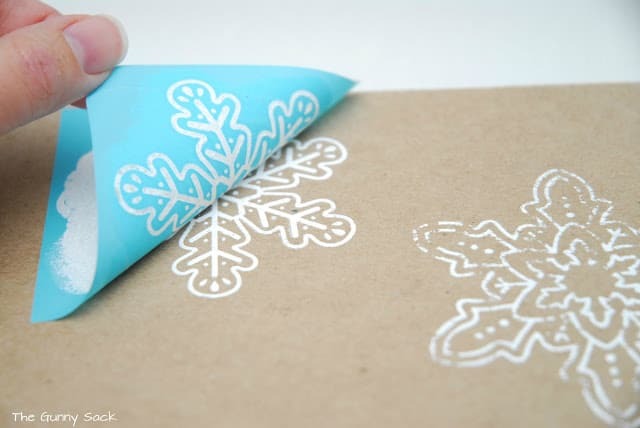 Then, using the dauber, I filled in the silkscreen snowflake stencil. 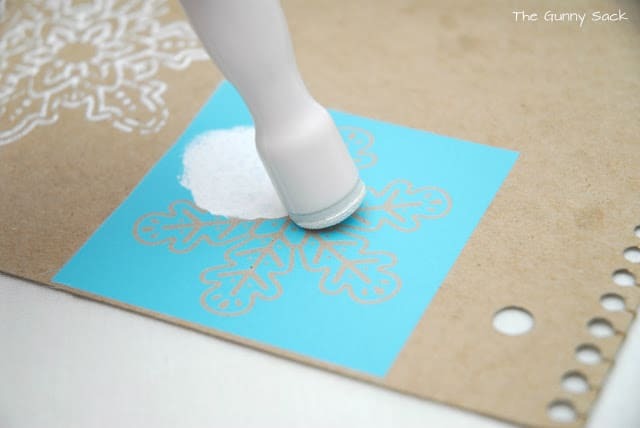 The stencils peel away easily and need to be washed and dried between each use. But don’t worry, the adhesive is still there even after a gentle washing! Once the paint had dried, I cut out each snowflake. These silkscreen were so cool to use! My family had to check them out and they were all impressed as well! I used Martha Stewart Crafts satin acrylic paint in wedding cake white to randomly paint various parts of the ornaments. I used one of the Martha Stewart paint brushes that I received and I loved it. The paint brushes look like they are wood that has been painted but really the outside has this smooth, rubbery, matte feel to it. I have no idea what it is made from but it feels great in my hand and isn’t at all slippery! Next, I used Martha Stewart Crafts liquid gilding in silver and once again randomly painted the shapes. I used an old paint brush for this step because I didn’t have xylene to clean my brush and this one had to be thrown away after I used it. I certainly didn’t want to throw away one of my new brushes! Finally, I added some sparkle with Martha Stewart Crafts coarse glitter acrylic paint in sterling. Now, I just needed to put the snowflakes into the vine shapes. 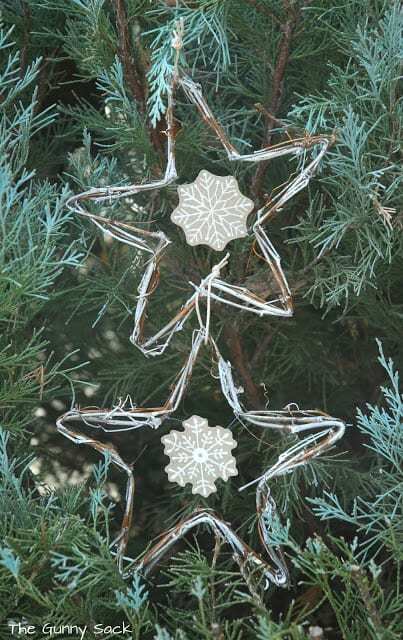 I attached a piece or pieces of fishing line to the ornaments and then hot glued the fishing line to the backs of the snowflake shapes. These could easily be made using premade grapevine shapes but it was fun to make my own! Since we do not celebrate Christmas with a Christmas tree, these ornaments will be placed all around the house in windows and hanging from knobs. 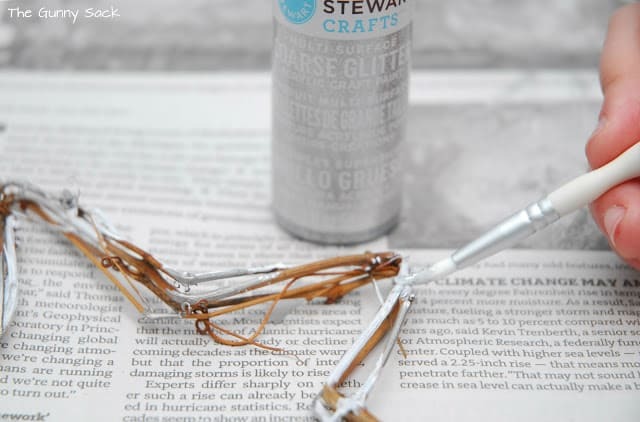 I had so much fun trying out these items from Plaid Craft’s Martha Stewart line. They are such nice quality and they were easy to use. I can’t wait to try out the rest of the items I received! 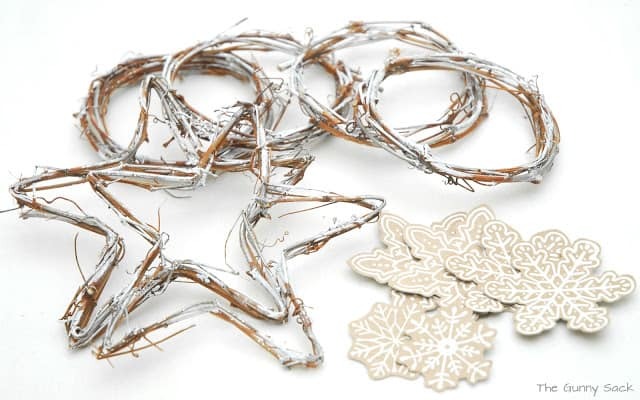 Want some more ideas for holiday decor items? 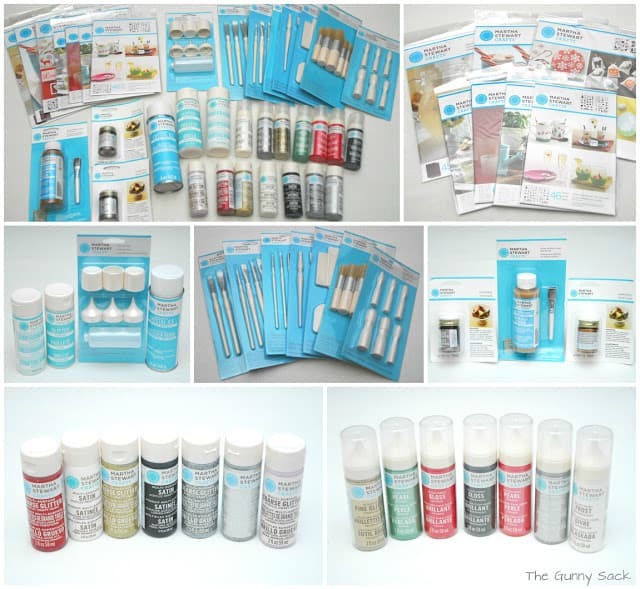 Check out the links that follow this post to see what other crafters made using these same materials! 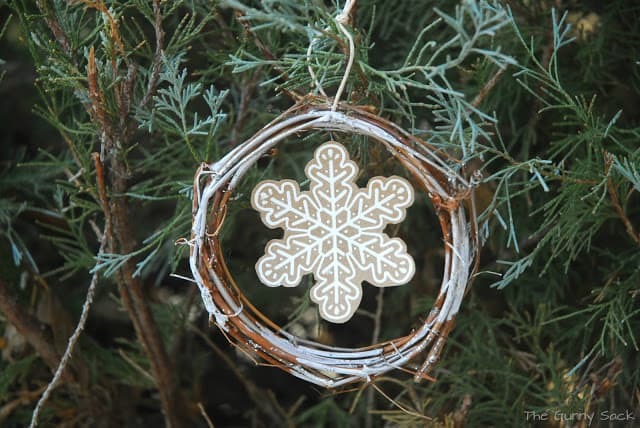 Have you started making your holiday decor yet? 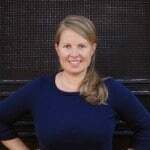 I wrote this post as part of a paid campaign with Plaid Crafts and The Blueprint Social. The opinions in this post are my own. Love these!! 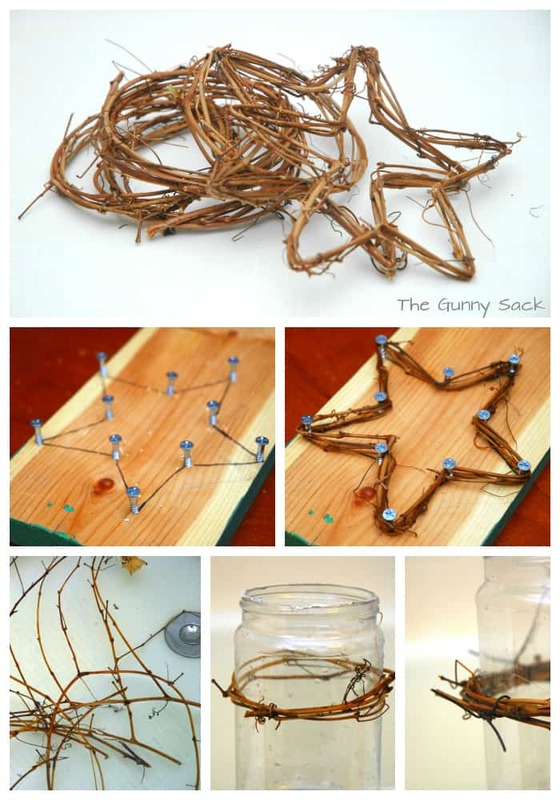 Such a great craft to do with the kids too! That was a wonderful tutorial, and a very creative way to use the stencils and paint. I loved it! Thanks Erin! 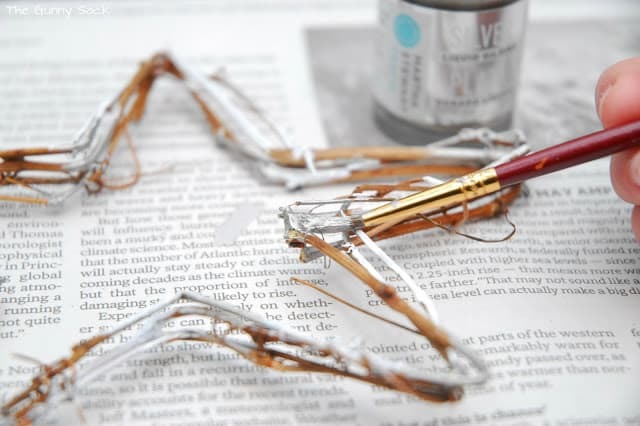 Your glasses turned out great too! You made your own grapevine shapes!!?? You are so awesome! Girl! You are just too creative! This is an awesome craft, I need to find some grapevine. Thanks Lyuba! It was really easy to do! so pretty!! Love this idea! Thanks Janel! I love how you used driftwood to make your centerpiece! My nieces and nephews made some large wreaths with their neighbor and they turned out great!